AutoCAD® has a flexible subscription model, with new features available with each release and product update. 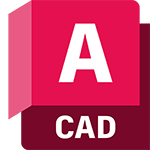 If you have a perpetual license of AutoCAD 2016 or earlier, here’s what’s changed in AutoCAD 2017, AutoCAD 2018, AutoCAD 2019, and AutoCAD 2020. Blocks palette: Insert blocks efficiently from visual galleries. Quick measure: Quickly display all nearby measurements in a drawing by hovering your mouse. Purge (redesigned): Remove multiple unneeded objects with easy selection and object preview. DWG™ compare (enhanced): Compare two versions of a drawing or Xref without leaving your current window. Attach/extract point cloud data: Attach point cloud files acquired by 3D laser scanners or other technologies. Save to web and mobile: Save drawings and their associated Xrefs from your desktop to view and edit in the AutoCAD web and mobile apps.